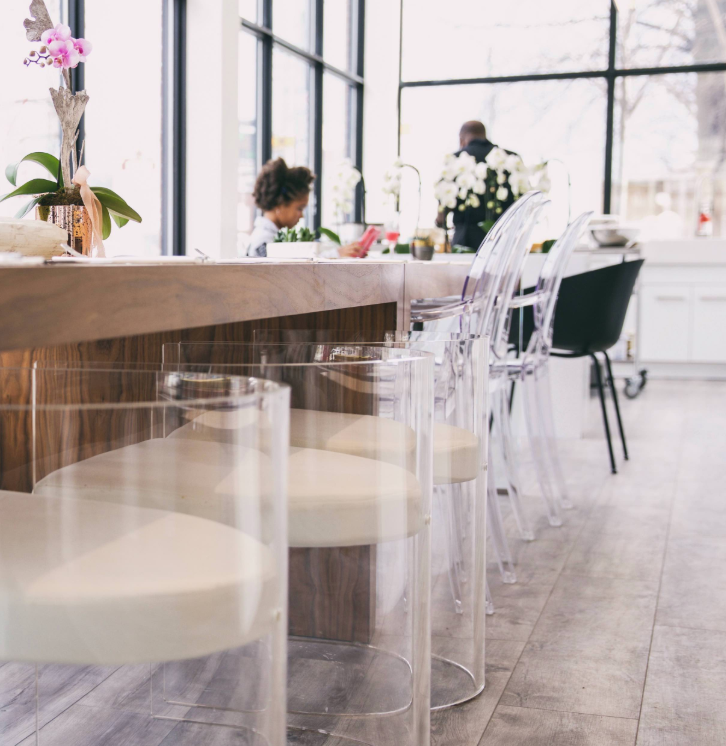 The call for a dedicated vegan and vegetarian eatery in Leslieville is here with the opening of KASPACE. Launching in the space previously occupied by Sandy Aleksander, the new concept offers a coffee bar and airy and bright cafe. The menu offers breakfast sandwiches, crepes, parfaits and fresh juices. A bigger brunch menu is available on weekends. Owner Kevin Allwood launched KASPACE, which is part of the KA brand — part fashion boutique, design studio and gallery on Carlaw Ave.
From the choice in furnishings to the music and food quality, Allwood says KASPACE is the goal is that everyone leaves feeling better than when they walked in. The cafe is now open at 1183 Queen St. East. Check out kaspacecafe.com for more.